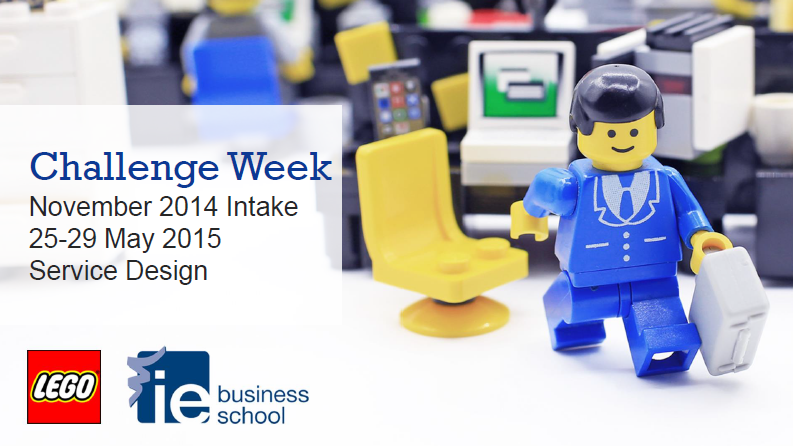 IE Business School - International MBA | IE Challenge Week with LEGO! IE Challenge Week with LEGO! Today International MBA students will start IE Challenge Week where they’ll be working together with LEGO! Through design thinking techniques, interactive workshops and the input from external experts, 50 innovative solutions will be prototyped and presented to LEGO at the end of the week. Titans of Finance: Lord Jonathan Hill at IE Business SchoolLuis Diestre one of The World’s Best 40 Under 40 Business School Professors by Poets & Quants!